Square neck with beads and sequins. Waistband with beads and sequins and a fabric flower. A-line dress with organza overlay. Fully lined with net petticoat. Material: 100% High Quality Satin Polyester. 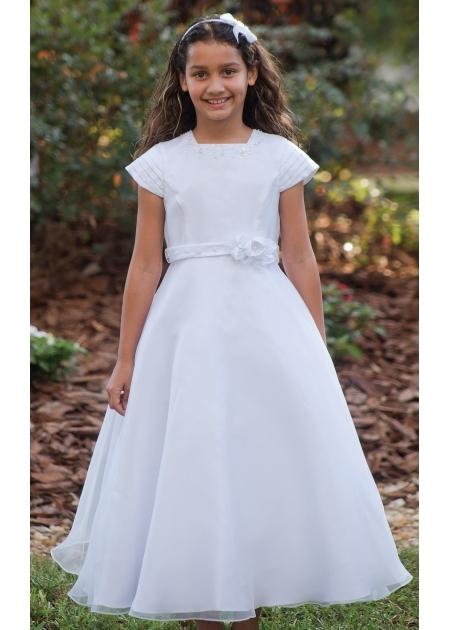 This First Holy Communion dress is available from our Ashford shop if you would like to bring your daughter to come and try it (no appointment needed).